Today we are delighted to share with you our interview by Debbie Glade with author Brandon Marie Miller. Brandon is an author of many nonfiction books for children, all based on American History. Debbie reviewed Benjamin Franklin: American Genius back in 2009 and most recently reviewed her wonderful book, Women of the Frontier. Ms. Miller has won literary awards from the International Reading Association, the National Council for the Social Studies, the Society of School Librarians International, Voice of Youth Advocates, Bank Street College, the Junior Library Guild, the New York Public Library and the Chicago Public Library, among others. What we love about her books is that her stories feature both famous figures and lesser-known Americans, all of whom have demonstrated extraordinary courage through their struggles and have achieved greatness in ways that awe and inspire us. Brandon lives in Cincinnati, Ohio. You mention on your website that through your parents’ encouragement, you developed an interest in history at a young age and then later got your degree in American History from Purdue. Did you set out to become an author or did you fall into it somehow? And why did you choose to write for children? I fell into it! Everything came together this way: I was a stay-at-home mom with small children and one day I read about a new history magazine for kids called Cobblestone. Two former teachers started the venture and they needed writers. I knew nothing of how to submit a query or write an article. But I sent off a self-addressed- stamped envelope requesting the writer’s guidelines—that’s how long ago this was– no websites or e-mail! I submitted an outline for an article on cowboy clothing. Cobblestone accepted my proposal, I wrote the article, and that was my start. So I began writing for children almost accidentally and I’m glad I did. I hope young people will feel inspired by history’s stories. That’s a terrific way to start a writing career. How did you get the idea to write Women of the Frontier? I had just finished writing seven books set in the colonial and Revolutionary War periods—including biographies of Founding Fathers Washington, Franklin and Jefferson, and was ready for a change. I also wanted to return to women’s history. My very first book had been about women of the old West. That book, Buffalo Gals (1995), had been out of print for many years, but I still loved the topic. Chicago Review Press was starting a new series introducing Women of Action. I sent them a copy of Buffalo Gals and was thrilled when they decided I could rework the original book. I added so much more great information, some dealing with more mature topics, and included mini biographies of some of the women. Buffalo Gals transformed and expanded from 16,000 words to 61,000 words. I had so much fun returning to women of the frontier! What was the process like finding the stories of the women you wrote about in your book, especially considering most were not famous? What sources did you use? 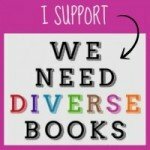 I read lots of great books, most written by academics specializing in women’s western history. I also had the advantage this time of using the internet to find sources. Some of the women’s firsthand accounts have been published online which is wonderful. You feel like you’ve found a jewel when a source pops up online! I was able to read Miriam Colt’s Went to Kansas, Virginia Reed’s story of the Donner Party, Carry Nation’s autobiography and Amelia Knight’s diary, as well as speeches by Mary Lease, online. State historical societies (Kansas has a good one) and the National Park Service were also great online resources. Being able to find out-of-print books online is another help. Over the years I’ve also traveled out west, following parts of the Oregon Trail, visiting Chimney Rock, Scotts Bluff, Fort Laramie and Independence Rock as well as a sod house at Homestead National Monument. I always buy books along the way. Of all the women featured in the bios, Clara Brown was probably the most difficult to research and write. Unlike most of the other women, she left behind no written record of her life. You have to go by what records do exist and what others said about her. The same was true of Cynthia Ann Parker who left no written record of her years living as a Comanche or her life after she returned to white society. It sounds like a challenging, time-consuming process. How long did it take you to research and write the book? It took me about 18 months to research, write and revise the book. Of the 16 women you featured in your book, is there one in particular you admire or can relate to most? What a tough question! I felt such involvement in their stories and admired them all for different reasons. Margret Reed and Rachel Parker Plummer survived unspeakable situations. Bethenia Owens transformed from an illiterate girl married at 14 to a college-trained physician. Mary Lease, Carry Nation and Martha Maxwell found that their work outside a “woman’s sphere” cost them their marriages. Native Americans Susette La Flesche and Sarah Winnemucca fought corrupt government Indian policies. Clara Brown was nearly 60 when she began life anew, freed from slavery. She worked so hard and helped so many others. I enjoyed the humor and stoic diary of Amelia Stewart Knight who traveled to Oregon with her husband and 7 children, giving birth to another baby on the trail. She never mentions the pregnancy in her diary—you don’t find out until she simply states she gave birth to a baby boy. Then you backtrack, thinking, wow, she is heavily pregnant and doing all this. I could go on…I can’t choose! Please don’t make me! With all those inspiring women, I could see how you’d be torn like that! After reading Women of the Frontier and learning of their hardships, I personally felt a bit ashamed about the complaining I do on a daily basis. Getting stuck in traffic in a car for 15 minutes is not quite the same as traveling across country in a covered wagon in blizzard conditions with little food, widespread illnesses and no medicine. Did your research for the book change the way you think about modern conveniences and just how much our “comfort zones” have changed since pioneer days? Strangely, I’m always struck by this when I’m doing the laundry. In Women of the Frontier I include one woman’s 11-step recipe for laundry day. It includes fetching and boiling tubs of water, stirring and scrubbing the clothes, wringing them out—real back-breaking work. Then she finishes off by scrubbing her porch with the rinse water and dumping the rest into her flowerbed. As the last point on her recipe she writes: “Go put on a clean dress, smooth hair with side combs, brew cup of tee, set and rest and rock a spell and count blessings.” Her recipe makes me vow to never complain about carrying a clothes basket to the basement, sorting, and dumping my wash into a machine! What a terrific way to remind us all that modern conveniences make life much easier. Women of the Frontier is not your only book about people who demonstrated great courage and persevered against all odds. If you could interview one person you’ve written about, who would that be and what would you most like to ask that person? 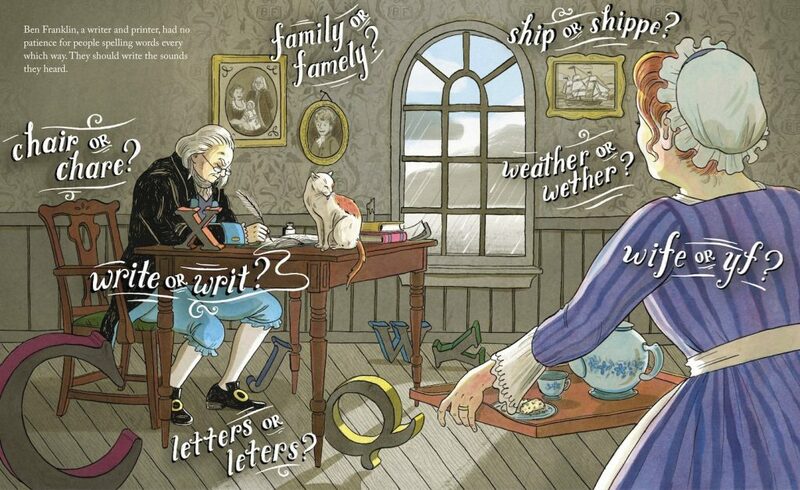 I would love to interview George Washington (George Washington for Kids: His Life and Times, Chicago Review Press, 2007). One of things I would like to ask is this: When you sat on horseback facing the advancing British army in New York and your raw American recruits fled, what was going through your mind? Did you really want to die, as one of your generals wrote? Also, I’d like him to discuss the hatred between Jefferson and Alexander Hamilton and how that splintered his cabinet. It really broke his heart, I think, and I’d love to hear his own thoughts. And since we live in a world of tabloid journalism, I guess I’d have to ask if he ever stepped-out on Martha. For that question I would deserve first-hand experience of Washington’s famous temper. Now that sounds to me like possibly the best interview of all time. 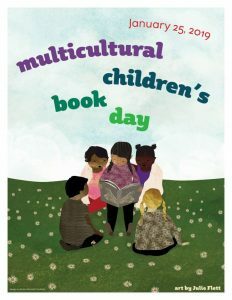 Your books are so important for our children’s education. As an author who visits schools and speaks to students, do you find that children are extremely interested in American history, or not so much? I find students very interested in American history, especially stories about how people lived in the past. They love hearing about the chores, schooling, medical treatments, fashion and how society viewed things. They love hearing little stories that make famous men more relatable. They love hearing people’s stories told in their own words. What better way to connect with someone than through their own words! And kids have questions about everything. My favorite question was asked twice, in different schools, in different states—if a woman jumped off a cliff wearing her bell-shaped hoop skirt would she float to the ground like a parachute?! So many things! I find the research very rewarding—my head is so filled with trivia I can amaze my family when we play games. I love seeing what bits of information from my books kids latch onto—one fact kids love (at least girls do) is that boys of the past wore dresses until around the age of 5! I loved the time I talked about pioneer life out west and showed a photo of African American homesteaders in front of their sod house. An 8th grade African American girl approached me afterward and said she’d never known there were black pioneers and this was a happy discovery for her. I felt I’d made a difference to someone that day. Maybe most rewarding personally is the connection I’ve made with other writers—this community is filled with wonderful people willing to share, hand-hold, sympathize and celebrate when the time comes! What is your opinion about the shift away from printed books with the focus more on ebooks and apps, particularly for nonfiction children’s books like yours? I’m certainly no expert and publishing is changing so quickly most authors are scrambling to keep up. Apps include an interactive quality which is greatly appealing for kids, but apps may lack the depth of information that comes from a good nonfiction print book. Most publishers have ebook versions of print books which is great for authors as the number of readers turning to ebooks continues to grow. My main concern with nonfiction ebooks is that many will be self-published without the benefit of editorial standards for quality of research and writing. As the number of self-published ebooks continues to grow, the glut on the market will make it harder for consumers to choose the best investment of their time and money. I imagine you often get asked about your name. Being an author with the first name of Brandon, are people sometimes surprised when they meet you to find you are a woman and not a man? I bet it makes for some great conversation! It is definitely a conversation starter, and when people write me it is often as Mr. Miller! I always include my middle name “Marie” in all my bylines so people have a tiny clue that I am a female “Brandon.” When my mother was pregnant she read a book that featured a woman called Brandon and liked the name. Years later I read that book, and discovered the character was a seducer and murderer! Thanks, mom. Take time with your research. Everything develops from the research—inspiration, stories, quotes, facts. Choose a topic you have a passion for and dig in. Work at organizing your material so your writing flows smoothly and logically. Write and rewrite. Persevere! Educate yourself about the publishing industry which is changing so quickly now. 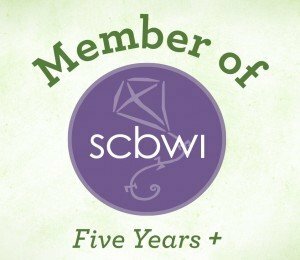 Read books, attend conferences, join a writer’s group. Read and write like crazy. Can you tell us what project you are working on next? Right now I am working on a novel set during the California Gold Rush based on some of the women featured in Women of the Frontier. I don’t know if this will ever be published, but I’m enjoying the process. I also have ideas for several nonfiction book proposals. I certainly would love to read that. When you’re not reading or writing, what do you most enjoy doing? I love getting together with friends and talking; usually there is food involved. I love to travel—exploring nature or museums, I like them both! I love playing games of all sorts and watching sports. I also enjoy watching old movies from the 1930s and 1940s and attending the ballet. Brandon, we cannot thank you enough for taking time out of your busy writing schedule to share your personal story about life as a writer and giving our readers insight into the process of writing nonfiction for children. Like the many Americans you write about in your history books, you, too, are a great inspiration. For a list and description of all of Brandon’s books, check out her website. To find out how to book Brandon Marie Miller as a speaker at your school or event, click here. To get marvelous ideas for hands-on nonfiction activities for kids, check out the blog by Brandon and two other children’s book authors, including Kerrie Logan Hollihan, whom we’ve interviewed before and Mary Kay Carson. 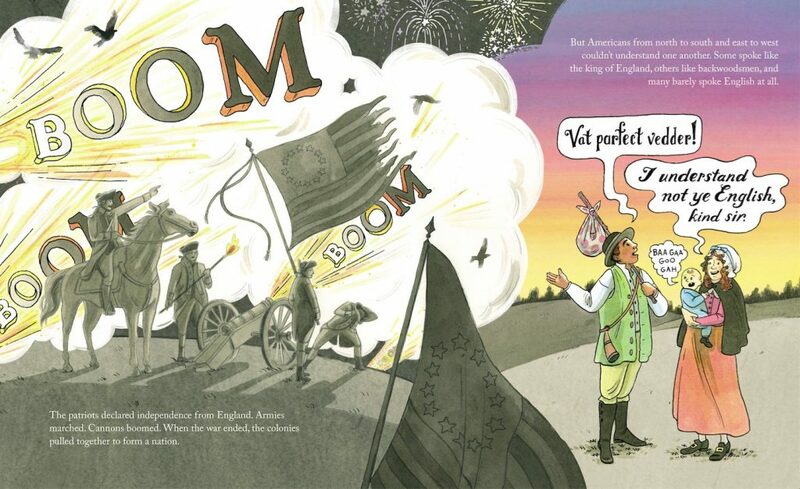 Read what guest reviewer Debbie Glade thinks of a new biography for kids on Benjamin Franklin. I had been thinking about reading a biography of Ben Franklin, when the opportunity came up for me to review Benjamin Franklin, American Genius: His Life and Ideas with 21 Activities. (Chicago Review Press, $16.95, ages 9 – 12). Naturally I jumped at the chance. Ever since I started to read the book, I have noticed just how often Franklin’s name has come up on television, in movies, in newspaper and magazine articles, in other books and in every day conversations. As a nation, we owe a great deal to Franklin, and award-winning writer, Brandon Marie Miller explains why in this book. No one could dispute the fact that Benjamin Franklin was one of the most ingenious Americans of all time. A lover of books and learning, Franklin educated himself and was in so many ways, ahead of his time. He was a printer, a publisher, a writer, a scientist, a businessman, a politician, an educator and so much more. His combination of intelligence, freethinking and persistence changed our nation and the world. Readers will learn about Franklin from birth to death. They will get a glimpse into his writings and printing expertise. They will discover in detail the extensive electrical science experiments Franklin completed and how Franklin continued to pursue scientific truths in spite of being criticized by other scientists for his findings. (Check out page 43 for an excellent, simple explanation of the Basics of Electricity.) They will learn how he founded the first library and what is now the University of Pennsylvania. Readers will also come to know how Franklin got involved in politics, signed the Declaration of Independence and negotiated treaties with France and Great Britain. 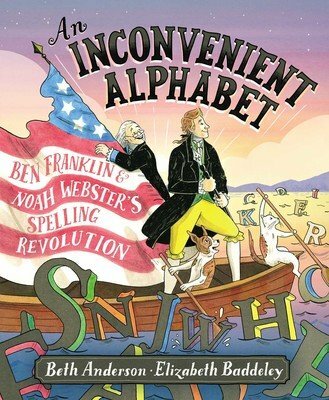 Benjamin Franklin, American Genius was written for 9-12 year old readers. I like the fact that it is quite a meaty and comprehensive book (122 pages), as most books for readers of this age are not as thorough. It is obvious that Brandon Marie Miller spent a great deal of time researching Franklin to write this factual account. The book is ideal for use in the classroom, and there are 21 fascinating activities for students scattered throughout the book. From dipping candles to making a walking stick, there are a lot of fun and interesting projects that will teach students about American life in the 1700s. Note: This book mentions that Franklin “hung out with low women” despite his engagement to a Deborah Read and also indicates that Franklin fathered a child with a woman he never married. That child was born after his marriage, and his wife raised the child, even though she was not the biological mother. These facts are worded gently, however given the young age of the targeted readers (9-12), this may generate some questions.